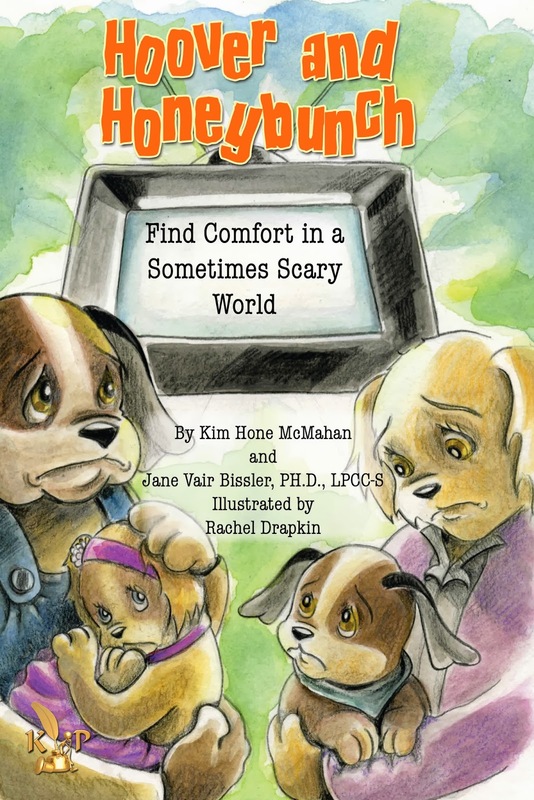 Kim Hone McMahan is the co-author of the children's book Hoover and Honeybunch Find Comfort in a Sometimes Scary World. 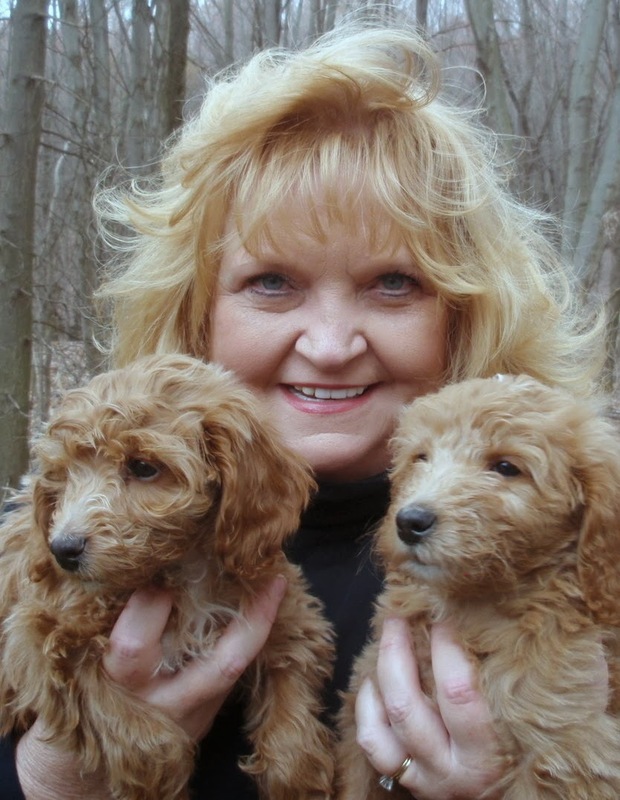 She is a feature writer at the Akron Beacon Journal, and she lives in Green, Ohio. A: As a journalist who often covers children's issues, parents were expressing their frustrations to me about what they could do to comfort their youngsters who were reacting to televised reports of horrific events. Following the tragedy at Sandy Hook Elementary School in Newtown, Conn., their concerns were heightened. My research for a newspaper story found that seven mass shootings occurred in 2012. And because mass shootings are generally defined as the death of four or more people, that number excluded many other victims. Keeping that in mind, it's no wonder that our children are plagued with anxiety when they see the reports being aired over and over. Bothered by the numbers and parents' concerns, I suggested to Jane Vair Bissler, a practicing clinical counselor, that we should write a book for children offering comfort. Q: How did you collaborate on it? A: Jane, who is the clinical director for Counseling for Wellness and Kelly's Grief Center, which helps children, adolescents and adults with grief, agreed that a book was badly needed to help parents explain to their children that the terrible events they witnessed on TV were not happening over and over again. She said that the counselors in her office, in fact, routinely received calls from parents pleading for help for their sons and daughters who had been traumatized by the news. Q: What age group do you think would most appreciate the book? A: Though the book is written for children from about three to eight, it could help youngsters of any age who were experiencing anxiety. Q: The two puppies in the book have somewhat different reactions to hearing the scary news. Why did you decide to write it that way? A: We were trying to write for a typical family in which brothers and sisters can react differently to various situations. Additionally, so that children would want to read the book again and again, it was important to incorporate humor into the story. So, while Hoover and Honeybunch deliver a serious message, they are also playful pups that will win the hearts of youngsters. A: Jane and I recently signed a contract with Keith Publications for Vampire Dreams, an action-packed children's book about Alex, a mischievous little boy whose curiosity gets the better of him. After sneaking into a movie starring a vampire, he gets a visit from the monster in his dreams. Currently, our remarkably talented illustrator, Rachel Drapkin, is working on the artwork.